I will admit I downloaded this game less than an hour ago, but so far I am amazed. 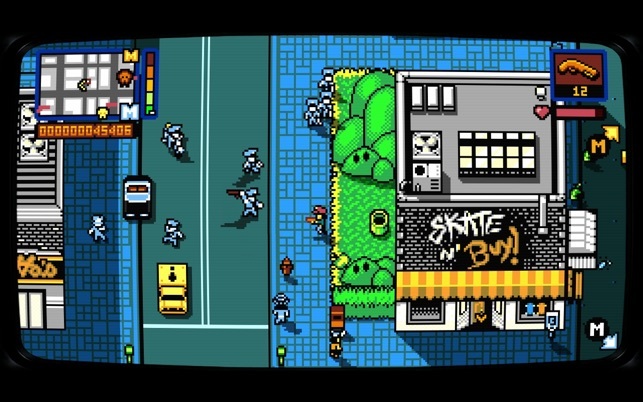 As a die hard fan of both GTA and retro gaming, this is what I have been waiting for. Like GTA, it's an open world game with a number of story missions-- the idea is to make as much money as possible through criminal activity. There are various shops throughout the city where you can spend your money, like in GTA, just to increase the incentive to earn money. 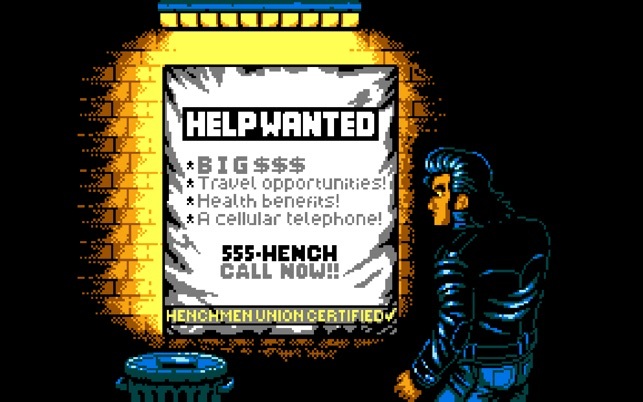 This game also has a good sense of humor, although entirely different from that in GTA or Saints Row (far more PG). 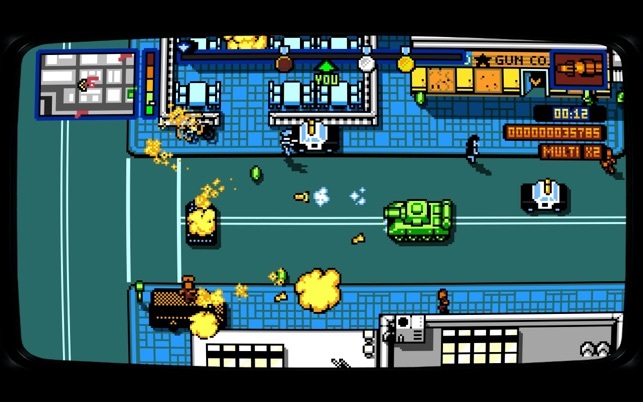 What I love the most about this game is that it is just as much GTA as it is a retro game. Not only are the graphics and the music reminiscent of the classics-- the gameplay also reflects that of Sonic the Hedgehog, Super Mario, and Bonanza Brothers-- it's so fun when the game makes references to these classics by allowing you to utilize Mario's stomping powers or Sonic's speed. These are some of the references I have seen thus far. As I stated, I've only been playing around half an hour. I am so excited to see what others are to come! 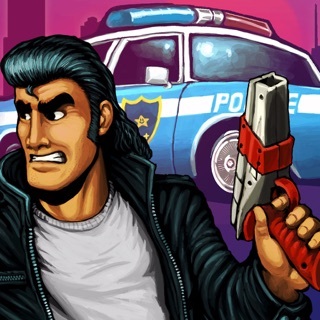 I highly recommend downloading this game, especially if you are a fan of open world games like GTA and/or the NES and Sega Genesis classics. This game is the perfect combination. This game is fun and works well on my MacBook Pro Retina. Some of the levels terminate a bit too quickly for my tastes. Controls are straightforward and the game play is enjoyable. It parodies many other classic games, so that’s a neat addition. I will say the scrolling can be a bit jerky and occasionally bit nauseating. It’s a fun “waste of time” and the designer executed the game well. $10 is a bit steep. It’s a sure-fire $5 game though. Really takes me back. 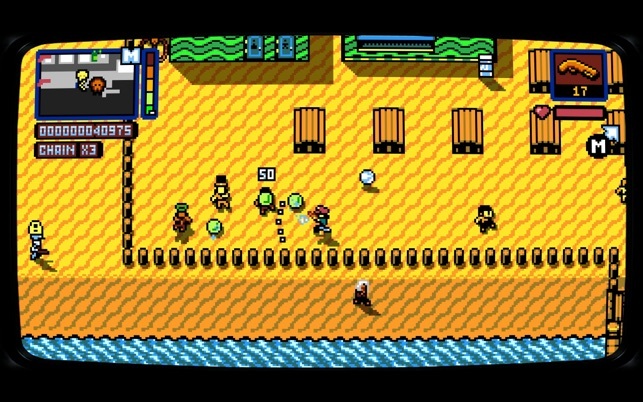 Great retro music, great retro style game, I love the concept and action sequence scenes and I don’t say this about much games. You have my thumbs up. Only reason why I would take this down a star is because I found out you offered this game for $3.99 for a Christmas Special, but it’s $9.99 on this store. 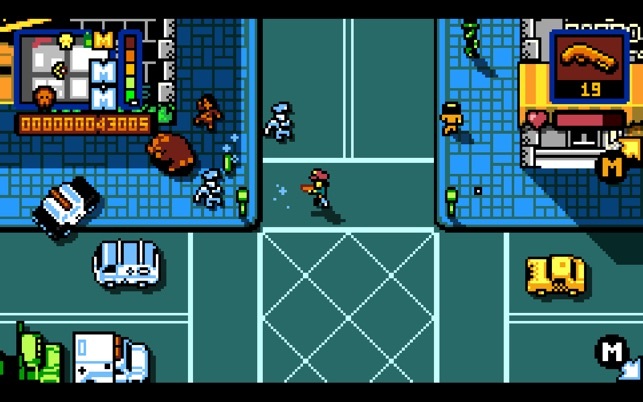 RETRO CITY RAMPAGE is a trademark of Vblank Entertainment Inc. ©2010-2016 All Rights Reserved.